Came upon this piece via Twitter at the weekend. How interesting! I think there is still a fear of digital in publishing — not of the ebook “revolution” or some mass-destruction mass-disruption drama, but of the actual process of code and digital development: a general “I can’t do that” or “it’s too hard” or “it’s not really necessary”. Coding isn’t easy, but it’s not hard either. You just need to give yourself some time to try it. Last year, I built 11 web apps in 10 days, during two week-long coding courses at Steer. It felt like magic, but it really wasn’t. It showed me conclusively that anyone can learn to code. Publishing’s competitors — not to mention our young readers — are mastering it, so we need to master it, too. Jeff Bezos, founder and c.e.o. of Amazon, can code. How long will it take for a big publisher to have a c.e.o. who understands code? via Sara O’Connor: Why I’m leaving publishing for tech | The Bookseller. “At its worst, every day is like sitting all day in a dentist’s chair – relentless drilling, hammering and thudding from 8am until the walls crack, so that progressively deranged, a nervous wreck, one cannot think or speak, let alone work. So it’s not just Notting Hill that is being destroyed, it is some vestige of how to live, replaced by a new way, in London so full of itself. This is the celebration of that which was hatched under Thatcher, boomed under Blair, was bloated by Brown and now triumphs under Cameron: the absolute hegemony of selfish greed and impunity of money. via Development hell: how the upmarket vandals ruined my childhood streets | UK news | The Observer. Pablo Inirio, the master darkroom printer who works at Magnum Photos‘ New York headquarters, has personally worked on some of the cooperative’s best-known images. A number of his marked-up darkroom prints have appeared online, revealing the enormous amount of attention Inirio gives photos in the darkroom. 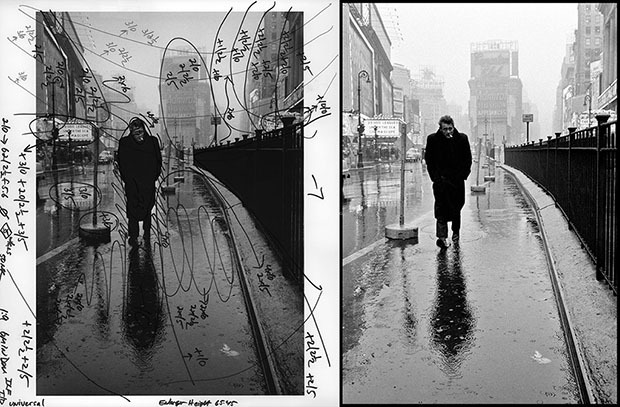 via Marked Up Photographs Show How Iconic Prints Were Edited in the Darkroom.